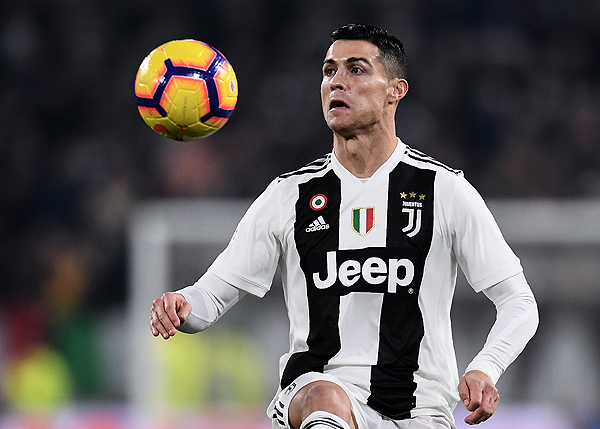 MILAN: Cristiano Ronaldo headed in his 18th league goal this season as Juventus bounced back from last week’s stalemate to soar to an 11-point lead in Serie A on Sunday with a 3-0 win at Sassuolo. 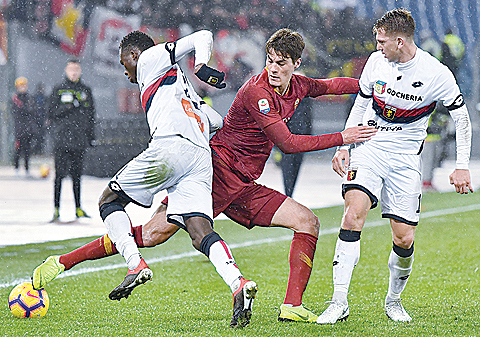 Ronaldo proved decisive, scoring after 70 minutes as Sami Khedira found the net first in Modena with fellow German Emre Can slotting in the third four minutes from time. The Serie A champions had been held by Parma last week despite the Portugese forward’s double. Now they have left second-placed Napoli trailing after Carlo Ancelotti’s side were held to a goalless draw at Fiorentina on Saturday. Paulo Dybala again started on the bench coming on late for the champions, to help set up the third goal, with coach Massimiliano Allegri saying he needed to find the right balance. “Ronaldo and Dybala can certainly play together and they will do, but we need everyone to work hard in order to keep the team balanced,” said Allegri. The pair are fighting to be fit for Juventus’s European Champions League last 16 trip to Atletico Madrid in 10 days’ time. 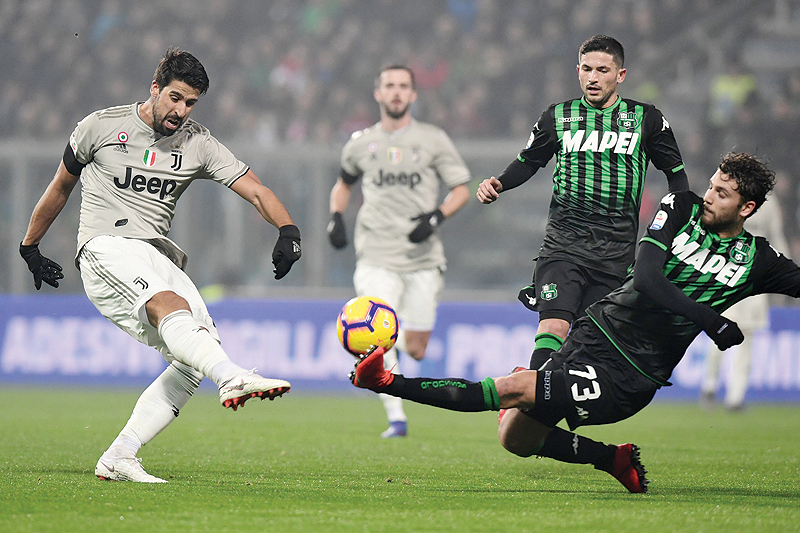 Juventus broke through after Sassuolo goalkeeper Andrea Consigli rushed out to parry a Ronaldo shot leaving the way clear for Khedira to turn in the rebound after 23 minutes. Inter Milan are third — 20 points behind Juventus-after beating Parma 1-0 on Saturday, for their first league win of 2019. But city rivals AC Milan are just four points behind Inter in fourth after beat struggling Cagliari 3-0, with new signings Lucas Paqueta and Krzysztof Piatek both scoring. Paqueta dedicated his first goal in Italy to the ten victims of the fire that ripped through buildings at Rio club Flamengo, where he started his career. “It was a very difficult time for me,” said the 21-year-old. The side from Bergamo battled to a 2-1 win over SPAL, with Roma beating Chievo 3-0 and Lazio seeing off Empoli 1-0 during the week. “I’ve liked the team for a while now,” said coach Gennaro Gattuso.